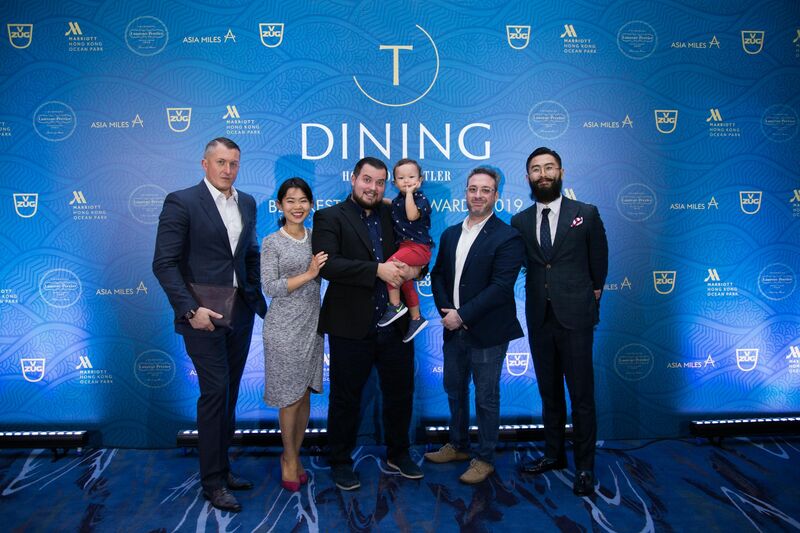 Back for the 6th year, the T.Dining Best Restaurants Awards was held at the brand-new Hong Kong Ocean Park Marriott Hotel and welcomed over 600 guests to celebrate the achievements of those in the F&B industry. The evening unveiled the list of the new Top 20 Best Restaurants and the recipients of the Best Of The Year awards, including the Chef Of The Year (presented by V-ZUG) plus the Readers' Choice results for Best New Restaurant and Best New Bar (presented by Asia Miles). Guests sipped on Laurent-Perrier champagne throughout the night and enjoyed a menu of Hong Kong-focused canapés (including sustainable fishballs and barbecued pork burgers) courtesy of the hotel.